THE CLIMAX FOR HUMANITY'S ASCENSION EVENT, FORESEEN IN ANCIENT TIMES, WAS CALLED THE KALI YUGA OR THE GRAND SOLAR FLASH! 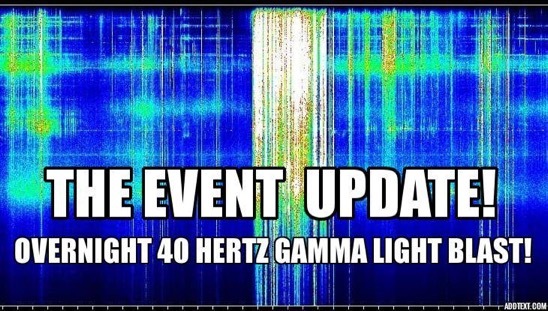 THIS HIGH-FREQUENCY LIGHT WAVE BEING SENT BY BENEVOLENT STAR FORCES IS AN INCREDIBLE BLAST OF WHITE MAGNETIZED PLASMA THAT IS ALREADY IMPACTING THE EARTH AND OUR AURIC FIELDS IN PROFOUND WAYS! CLARITY CONCERNING WHO YOU INTEND TO BE IN YOUR NEW REALITY IS ONE OF THE PRIME KEYS IN BUILDING YOUR LIGHT BODY! AT THIS STAGE YOU WILL BE CLOSE TO BRINGING ALMOST ANYTHING YOU CAN IMAGINE INTO YOUR WORLD SIMPLY BY FOCUSING ON IT! THIS IS YOUR CREATOR-GOD POWER! YOU'RE CLOSE TO THE POINT NOW WHERE YOU WILL BE CONNECTED TO ALL OF EXISTENCE AND YOUR EVOLUTIONARY LEAP IS TO MAKE SENSE OF THIS NEW AWARENESS AND PUT IT TO USE IN YOUR NOW! THIS PURPOSE ACTIVATES A RE-ORDERING ON MANY LAYERS OF EXISTENCE - ALL SHARING THE SAME NOW! IN ATLANTEAN TIMES WE SETUP AND OPERATED 12, 50-FOOT-TALL 'ANDARA' RAINBOW-COLORED CRYSTALS AS THE MOST POWERFUL QUANTUM COMPUTERS EVER KNOWN! YOUR MERKABA-SHIP-BODY TRANSLATES INFORMATION FROM OTHER WORLDS AND REALITIES THROUGH YOUR PHYSICAL VESSEL TO YOU!